A few years ago, back when we were dating without even dating (that’s a long story! ), my husband told me that he didn’t like bread pudding. He dropped it just like that, in the middle of our conversation, between a sip of half-an-hour-cold-espresso and him thinking about having a goatee. I didn’t know what to think of this situation. A man with a goatee! And who doesn’t like bread pudding! Will it work? Needless to say how confused I was. But this happened during our first days of romance, and the rule number 123 of dating for dummies tells you not to take it too seriously when a man admits that he doesn’t like bread pudding, but they tell you nothing about the sudden urge of having a goatee! Confused? I know! Me too. And what’s more confusing is that I agreed with his bread pudding aversion (but not with the goatee!) I agreed to the dislike of centuries old dessert without even arguing. I agreed to hate bread pudding when I know how much I love drowning my bread in milk before eating it. I agreed to dislike something I've actually never had before. I agreed to something I thought I, myself, hated for years, until this past weekend. This past weekend there were no dating game, no loosing game, no mascara and no shiny shoes. This past weekend was about an unfinished business, an unknown dessert, and about using some of my leftover bread. And I have to admit that I cannot find better, cozier, and more charming way to use leftover bread than by making bread pudding. It’s every leftover bread's fantasy to end up swimming in a custard bath with raisins and nuts as bathtub toys. 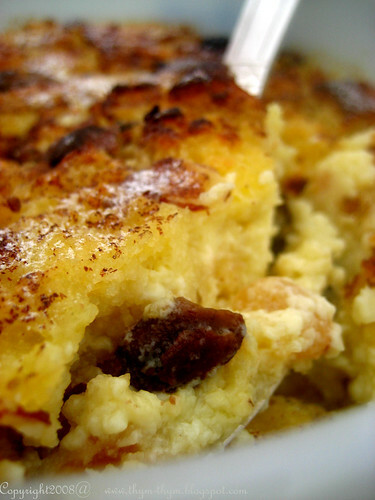 This bread pudding is the most popular sweet in Egypt. 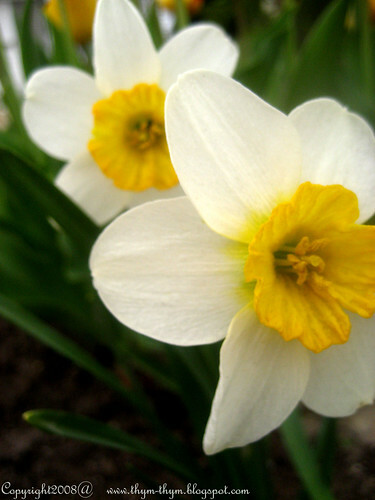 It’s called Om Ali, which means Ali’s Mother. The traditional way is to use baked fillo pastry broken into pieces with a mixture of cream and milk, but people find all sorts of ways of making it; with pancakes, with thinly rolled out puff pastry, and with pieces of bread. I went for “a lighter custard”, skipping the heavy cream and adding eggs to the mixture. The bread is soaked in an orange blossom water perfumed custard for 20 minutes, sprinkling raisins and nuts in between layers, and then baked until nicely browned and the pudding tips nicely out of its mold. Needless to say how confused I was. But I am glad I gave both of them a second chance. You can also add some semi-sweet chocolate chips to the custard. It’s not traditional, but I am sure Om Ali wouldn’t mind. Preheat the oven to 350F. Lightly butter a 2-qt (2L) baking dish. Trim the crusts from the bread into ½ inch (12mm) cubes. Scatter the bread in the prepared baking dish, sprinkling the raisins and nuts in between the layers. In a large bowl, whisk together the eggs, sugar, salt, and orange blossom water until blended, then whisk in the milk. Pour the mixture over the bread, dust with the cinnamon and set aside for 20 minutes to moisten the bread. Tilt the dish occasionally to keep the bread evenly covered with the liquid. Place the baking dish in a bigger pan and pour hot water into the pan to reach halfway up the sides of the dish. Bake until golden brown and a knife inserted into the center comes out clean, 40-45 minutes. Carefully remove the baking dish from the water bath and let cool completely on a wire rack. Serve at room temperature or refrigerate to chill for up to 3 hours. Vous pouvez aussi ajouter des pépite de chocolat si vous le souhaitez au pudding. Ce n’est pas trés traditionnel avec la recette, mais je suis sure que Om Ali fermera les yeux dessus. Beurrer légerement un plat d’une capacité de 2L allant au four. Préchauffer le four à 350F. Retirer les croutes du pain et les couper en petits dés d’1 centimetre et les mettre dans votre plat en alternant avec noix et raisins secs. Dans un grand bol, battre les oeufs, sucre, eau de fleur d’oranger, et le sel jusqu’a ce que tout soit bien incorporé, puis verser dessus le lait. Verser ce mélange sur les morveaux de pain, saupoudrer de canelle, et mettre de côté pendat 20 minutes pour laisser au pain le temps d’absorber le liquide. Remuer le palt de temps en temps pour que le pain reste toujours couvert du liquide. Faire cuire le pudding au bain marie pendant 40-45 minutes, ou jusqu’à ce que le pudding devienne doré et qu’un couteau inseré à l’interieur en ressort sec. Retirer le plat du bain marie et laisser refroidir completement sur une grille à patisserie avant de servir. Servir à temperature ambiante ou mettre au frais pendant au moins 3 heures avant de servir. I'm actually expecting some leftover bread to try my forst pudding :)))))) It's with bourbon flavoured sauce ! Your stories are always so cute ! I was never a huge fan of bread pudding, but I'm growing to like it more. Yours looks great! This is a magnificent bread pudding! Totally scrummy! Cute story, and your bread pudding looks divine. I'm glad you saw the light on this one. Warda, I think this is my favorite post of yours. I loved reading it! He's come to the conclusion that it's not that he dislikes something, but it's just that he's never had it done right. Lovely story! So did he like it?? This story makes me smile. I've heard of Om Ali but never really knew what it was. 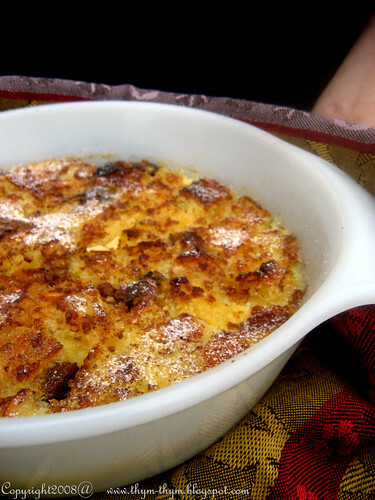 I can't wait to try it -- for my husband, who has always loved bread pudding! I love Om Ali but hate regular bread pudding. This looks delicious. I am not very keen of bread pudding but my husband LOVES them so I have to try this out!! I still have to buy the cortas orange flower water that you suggested. Such a funny story Warda. The bread pudding looks delicious. Your story is so nice!! But the fact is that your bread pudding is much better!! We love pudding at home, but I must try this recipe at once !! Haha, you can always trust men to never remember a word they've said. - Marion, you're serious with your puddings! On ne fait les choses a moitie chez la Marion! - Colleen, ooohh! Thank you! Thank you, my dear friend! And please, let me know how you and your family like it. My husband said that we should make this bread pudding more often. Ah, Men! - Lydia, Ah!!! I am sure your husband knows how lucky he is. - Neko, sometimes, I think men should come with a decoder ;-) Hope your husband will enjoy it. - Christine, I forgot about Pierre's goatee ;)No more jokes then! - Inne, thank you very much! I love bread pudding! LOL and I love Goatee's! Your's looks awesome and so tender on the fork. Definitely looks like a recipe worth trying! il est magnifique, je débarque de chez Marion, et my god! !